This program offers you models that help you to design inspiring training techniques and focus to make the content relevant to learners first and foremost. It also provides you with the design gradually, so that your designs become more smooth and your programs stronger and more active, and all of this at great speed and at a lower cost than you think. Moreover, you will use a design strategy composed of sixteen steps, in addition to many strong techniques that make your program strong and full of exercises, fun and interest. 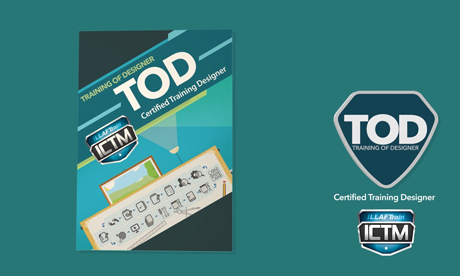 This program is directed at trainers, instructors, facilitators and persons who want to develop their design skills and enhance them, and design training efficiently. Design the training based on learning strategy composed of seven essential steps. Develop the course’s materials (i.e. : the learning plan, the manual). Assess the extent of the course effectiveness. Design the “discussions” resulting in an active participation. Design the learner’s pre-connecting tools. Two basic techniques to discover the training needs. The most important questions asked regarding learning objectives and their answers. The seven steps necessary in elaboration. How to prepare a strong design even if you are not an expert. Instructions for the organization of the lesson. Twelve tips necessary for the designing of the course’s manual. The five steps necessary to verify the course.